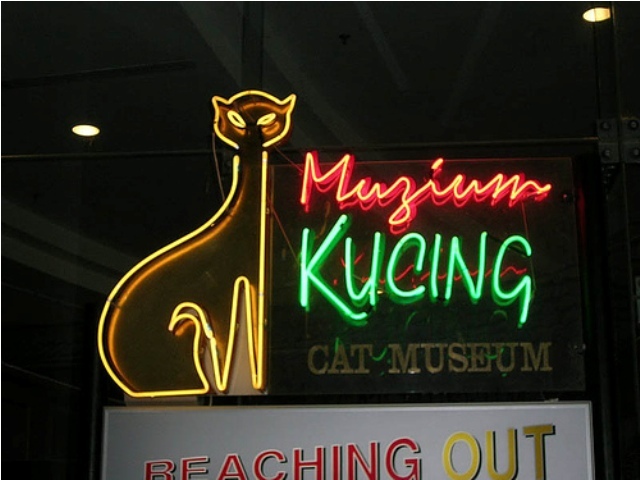 The Cat Museum is located on the Ground Floor of the Kuching North City Hall Headquarters Building at the Bukit Siol, Jalan Semariang, Petra Jaya, Kuching, Sarawak.It is owned by the Kuching North City Hall (DBKU). There are 2000 exhibits, artifacts, statues about cats from all over the world. According to Malaysian and Chinese beliefs, the cat is a lucky animal. The museum covers an area of 1,035.9 square meters on top of the hill called 'Bukit Siol' which stands 60 meters above the sea level with beautiful sceneries overlooking the beautiful city of Kuching. The responsibilities of the Cat Museum are to carry out research, collection, presentation, documentation, promotion, publication, education and awareness of historical heritage, cultures and the natural environment. A holiday in Sarawak is not complete without a visit to the longhouses that are the traditional dwellings of many of the natives here such as the Iban, Bidayuh and Orang Ulu. A longhouse is a terraced street of separate dwellings covered by one roof. A tuai rumah (headman) is the head of the longhouse. Every family has their own separate bilik (room). Communal activities are carried out on the ruai (verandah). Male visitors will spend a night on the verandah whereas female visitors are invited to stay in the bilik or room. Longhouse communities normally wear practical clothes like jeans and T-shirts. They only wear their traditional costumes during festivals like Gawai Dayak or the Iban harvest festival and also during weddings. Tour groups are normally greeted with a glass of tuak or rice wine and a welcome dance. After that, they will tour the longhouses and will be entertained by various cultural performances. You are usually invited to join in the dancing. 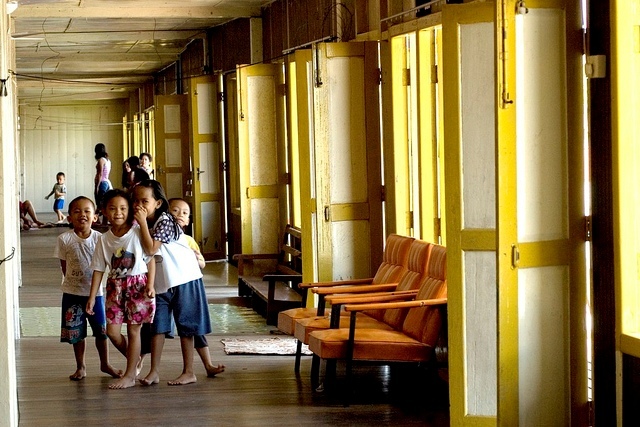 Visitors can spend a night at the longhouses or in a nearby guesthouse. 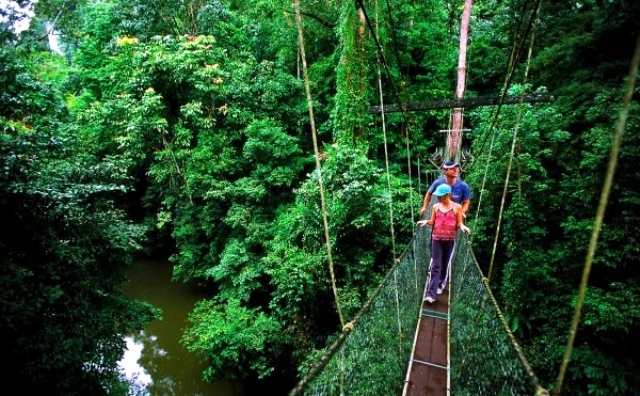 Gunung Gading National Park is a beautiful expanse of mountainous rainforest only two hours away from Kuching. Located near Lundu, a pleasant little town in south-west Sarawak. Initially, the park was a closed conservation zone for the spectacular Rafflesia, the largest flower in the world that can grow up to one metre in diameter. However, after extensive environmental impact studies, the National Parks Department decided that Gunung Gading is a treasure that should be shared with the public. It was therefore opened to the public in 1994. However, Gunung Gading National Park remains closely watched by the National Parks Department to ensure that visitors will get the best opportunities to view the flowering Rafflesia without causing any damage to the young buds and other flora in the surrounding area. A plank walk has been built close to where the Rafflesia is commonly found, making viewing possible when the plant is in bloom. Jungle trails lead to streams, cascading waterfalls and the mountains, with one path taking trekkers to the summit of Gunung Gading (906m). The rugged mountains within the Park provide a scenic backdrop to the nearby town of Lundu, and the beaches at Pandan and Siar. 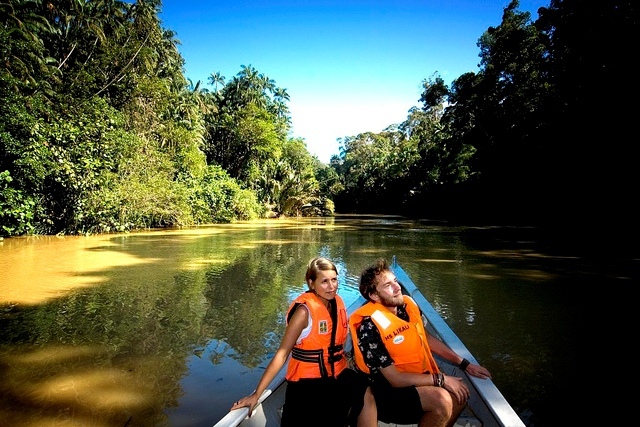 Similajau National Park, just 45 minutes from Bintulu, provides a great weekend getaway for the people within the central region of Sarawak. It has one of the most beautiful coastal areas in Malaysia with miles of unspoiled white and golden sand and rocky beaches facing the South China Sea. Gazetted in 1978, it covers 7,064 hectares of virgin coastal forest, starting from Sungai Likau in the south to Similajau River in the north. Spanning 30km, it is abundant in flora and fauna and offers you a wonderful experience exploring miles and miles of empty beach. The terrestrial fauna of the park boasts 24 recorded species of mammals, such as gibbons, banded langurs and long-tailed macaques. A very noteworthy reptile found here is the Saltwater Crocodile. The Park has also recorded 230 species of birds, which include hornbills and migratory water birds like Storms Stork. If you're lucky, you might be able to see dolphins out amongst the waves. Occasionally, green turtles come ashore to lay their eggs.